Via our Online Donation tool, you can give to many different causes, groups, and Worldwide Partners of the Church of God. 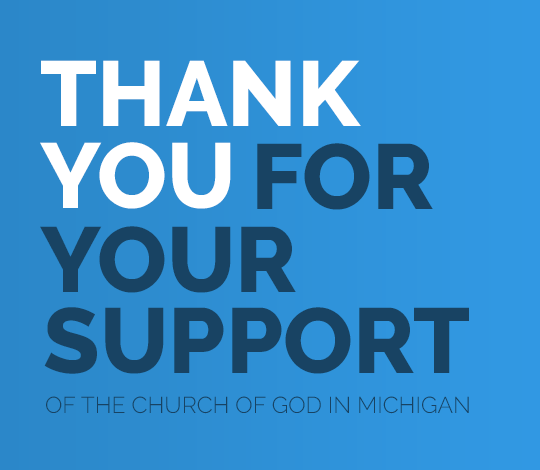 Some of the many things you can give to are: The General Fund for the Michigan Church of God, Home Missions, World Missions, YWEA, Women’s Discipleship & More. Simply click the Donate button below and you’ll be taken to our secure donation portal. Are you looking to make a payment for ministry groups, like CAMS, MIP & more? You too can follow the “Donate” button on this page in order to make a payment. Simply choose the option that you’re looking to make a payment towards in the donate portal. If you have any additional questions feel free to contact us by clicking here.